Unless you’re living under a rock, you know The Last Jedi is the newly announced title of Star Wars Episode VIII and Ridley is obviously someone who has an intimate knowledge of that, being that movie’s star. Does the title refer to Rey? Luke? Both of them? Jedi can be plural or singular after all. Well, Gad asked and Ridley was having none of it. Bonus Frozen 2 scoop in the video, too. Olaf is in it. Now, I’m about 99 percent sure this was a setup that Ridley was in on, but it’s still kinda funny. She does agree the title is ominous, though, and I look forward to the dozens of think pieces on that obvious statement. Hopefully, Gad keeps asking and gets us some dirt. Also, can I just say that it’s great to see Ridley back on Instagram, even if it’s through someone else’s feed? 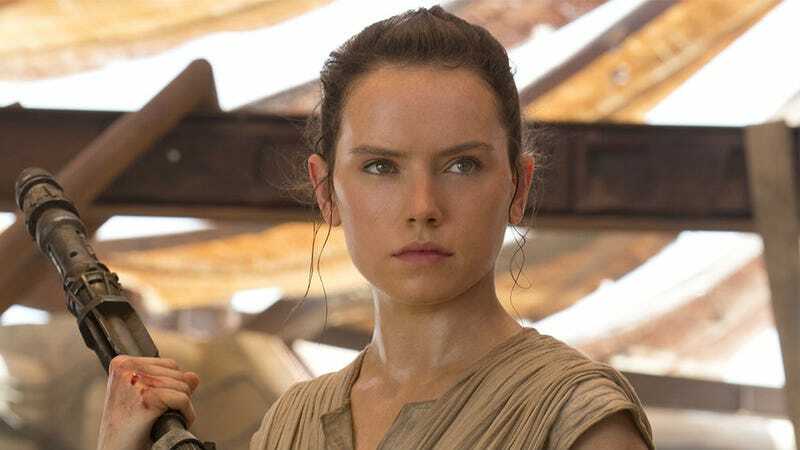 She was not only great at teasing fans about Star Wars, but showing the crazy preparation it took to play a role like Rey and her unbridled excitement about it. Unfortunately, Ridley shut down her account last year because she couldn’t take the horrible people on the internet leaving mean comments. Murder on the Orient Express opens November 22; The Last Jedi opens December 15.